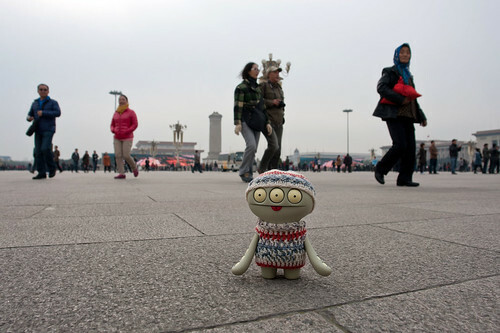 Uglyworld #2114 - Tiananmens Squarers - (Project Cinko Time - Image 313-365), a photo by www.bazpics.com on Flickr. It wouldn't be a tripper to Beijings without takerings the time to visits the famousers Tiananmens Squares in the centres of the city. Baz warnereds me to be on my bestesters behaviours today, as the squares is heavily watchereds by the polices and securities forces, to keeps it super safes! I still doesn't knows what alls the fuss surrounderings the square is alls about, buts Baz promisereds to fillers me in on it all tonights over dinners.